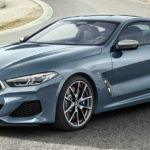 The all-new BMW 8 Series Coupe was unveiled to waiting crowds at this week’s Paris Motor Show and it was worth the wait as it combines the dynamic credentials of a high-calibre sports car both visually and technologically with the exclusivity of a luxurious coupe. 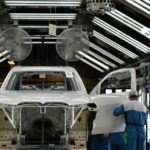 The BMW Group is pushing the appeal of electric motoring to ever greater heights on the back of its unstinting research and development work. And the latest fruits of its labour are new high-voltage batteries, which significantly increase the operating range of purely electrically powered BMW i cars. With more than 15 million sales under its belt, the BMW 3 Series Saloon has enjoyed a superb reputation both for its quality and supreme handling in the premium midsize segment for more than 40 years and now, the seventh-generation model, raises the bar even higher. 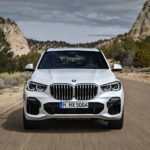 The all-new BMW X5 goes on sale in the UK from June 2018. 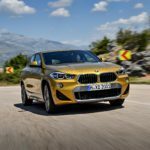 A choice of TwinPower and M Performance petrol and diesel engines are matched to a new eight-speed Steptronic gearbox and the latest version of xDrive. BMW says that with a wheelbase 42mm longer than its predecessor, an increase in vehicle length of 36mm, an extra 66mm of width and a 19mm increase in height, the new X5 has both an imposing appearance and generous levels of space for passengers and their luggage. 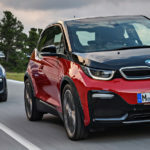 The BMW Group is pushing ahead with its electrification strategy by extending the reach of its all-electric mobility offering to the company’s core brands. The BMW Concept iX3 – presented for the first time at the Auto China 2018 show in Beijing – offers a look ahead to the expansion of the model line-up in this area. BMW says its first core model to be driven purely by electric power will be a fully-fledged Sports Activity Vehicle (SAV) – and without compromises when it comes to functionality and comfort. The world’s best-selling electric car in the premium compact segment now comes with refreshing styling accents, cutting-edge equipment features and new digital services to make locally emission-free driving even more enjoyable.